The big winners of the night were Sunny Afternoon and its cast who walked away with four accolades overall. The show, based on rock band The Kinks, won Best New Musical. Singer/songwriter Ray Davies also received an award for Outstanding Achievement in Music, fuelling predictions of a big year for The Kinks and leaving fans eagerly anticipating its new material. Upon accepting the award, Davies thanked people who were behind the inspiration for their music. At the age of 89, Dame Angela Lansbury marked her triumphant return to the West End by winning Best Supporting Actress for her role in Blithe Spirit. In post-show interviews she reported that the win left her feeling like 'a million dollars'. The Young Vic Theatre also came out on top with a variety of awards for two of its productions. A View From The Bridge, itself, won Best Revival while Mark Strong took Best Actor and Ivo Van Hove for Best Director. Its play Bull at the Maria also won Outstanding Achievement In An Affiliate Theatre. A special Olivier was awarded to Kevin Spacey in recognition for his tenure as Artistic Director at the Old Vic. He then surprised fans with an unannounced performance with soul singer Beverley Knight, accompanied by a full orchestra and a choir. The opera and dance categories also honoured some firm favourites. Former Royal Ballet dancer Sylvie Guillem, whose career has seen her perform with the world's leading ballet companies, received a special award preceding her farewell performances at Sadler's Wells later this year. The Best New Dance Production is an annual award in recognition of achievements in commercial British theatre. This year it was won by Mats Ek and Peeping Tom who shared the prize for 32 Rue Vandenbranden and Juliet & Romeo. Es Devlin, a regular Royal Opera designer, won in the Set Design category for The Nether whilst Howard Harrison won the White Light Award for Best Lighting Design for his work on the Donmar Warehouse's City Of Angels. There was no doubt in the popularity of the English National Opera, winning Outstanding Achievement in Opera for its director Richard Jones' work across a number of productions and Best New Opera Production for The Mastersingers of Nuremburg. 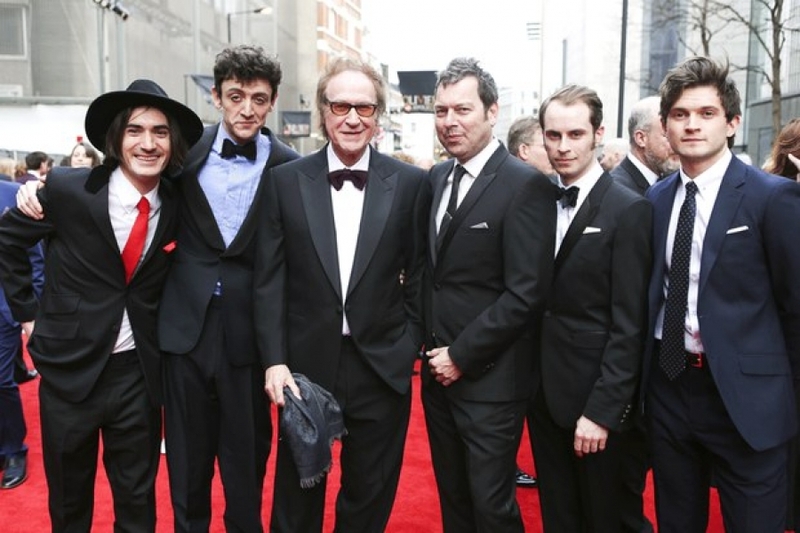 With the surprise performances and glitzy attire, Theatre Blog already can't wait until the 40th Olivier Awards. View the full list of 2015 winners on the Olivier Awards website.